(Reuters) – Pakistan’s government plans to seize control of charities and financial assets linked to Islamist leader Hafiz Saeed, who Washington has designated a terrorist, according to officials and documents reviewed by Reuters. Pakistan’s civilian government detailed its plans in a secret order to various provincial and federal government departments on Dec. 19, three officials who attended one of several high-level meeting discussing the crackdown told Reuters. Marked “secret”, a Dec. 19 document from the finance ministry directed law enforcement and governments in Pakistan’s five provinces to submit an action plan by Dec. 28 for a “takeover” of Saeed’s two charities, Jamaat-ud-Dawa (JuD) and the Falah-e-Insaniat Foundation. 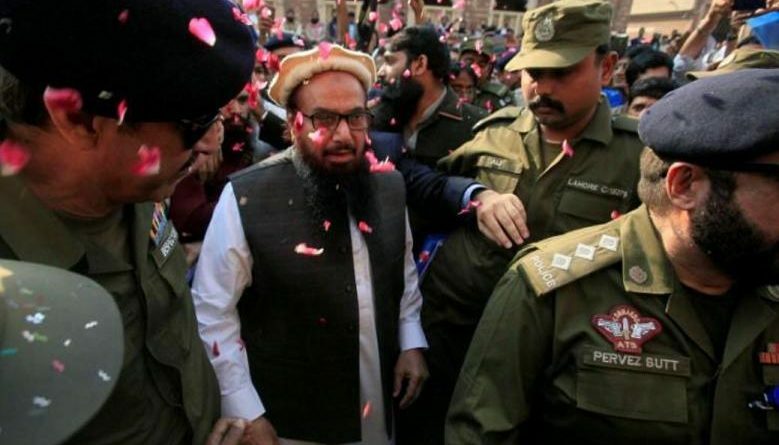 The United States has labeled JuD and FIF “terrorist fronts” for Lashkar-e-Taiba (“Army of the Pure” or LeT), a group Saeed founded in 1987 and which Washington and India blame for the 2008 attacks in Mumbai that killed 166 people. Saeed has repeatedly denied involvement in the Mumbai attacks and a Pakistani court saw insufficient evidence to convict him. The LeT could not be reached for comment. The Dec. 19th document, which refers to “Financial Action Task Force (FATF) issues”, names only Saeed’s two charities and “actions to be taken” against them. Asked about a crackdown on JuD and FIF, Interior Minister Ahsan Iqbal, who co-chaired one of the meetings on the plan, responded only generally, saying he has ordered authorities “to choke the fundraising of all proscribed outfits in Pakistan”. Saeed could not be reached for comment. He has frequently denied having ties to militants and says the charitable organizations he founded and controls have no terrorism ties. He says he promotes an Islamic-oriented government through doing good works. If the government follows through with the plan, it would mark the first time Pakistan has made a major move against Saeed’s network, which includes 300 seminaries and schools, hospitals, a publishing house and ambulance services. The JuD and FIF alone have about 50,000 volunteers and hundreds of other paid workers, according to two counter-terrorism officials. Participants at the meeting raised the possibility that the government’s failure to act against the charities could lead to U.N. sanctions, one of the three officials said. A U.N. Security Council team is due to visit Pakistan in late January to review progress against U.N.-designated “terrorist” groups. “Any adverse comments or action suggested by the team can have far-reaching implications for Pakistan,” the official said. The Dec. 19th document gave few details about how the state would take over Saeed’s charities, pending the plans submitted from the provincial governments. It did say it would involve government entities taking over ambulance services and accounting for other vehicles used by the charities. It says law enforcement agencies will coordinate with Pakistan’s intelligence agencies to identify the assets of the two charities and examine how they raise money. The document also directs that the name of JuD’s 200-acre headquarters, Markaz-e-Taiba, near the eastern city of Lahore be changed to something else ”to make it known that the Government of “Punjab (province) solely manages and operates the Markaz(headquarters)”. The move to seize the charities could spark some concern from the powerful military, which has proposed plans to steer Saeed and the JuD into mainstream politics. The military did not respond to a request for comment. In August, JuD officials formed a new political party, the Milli Muslim League, and backed candidates who fared relatively strongly in two key parliamentary by-elections. The JuD publicly disavows armed militancy inside Pakistan, but offers vocal support for the cause of rebel fighters in Indian-administered Kashmir and has called for Pakistan to retake Kashmir. Nuclear-armed India and Pakistan have fought two wars over the disputed region. 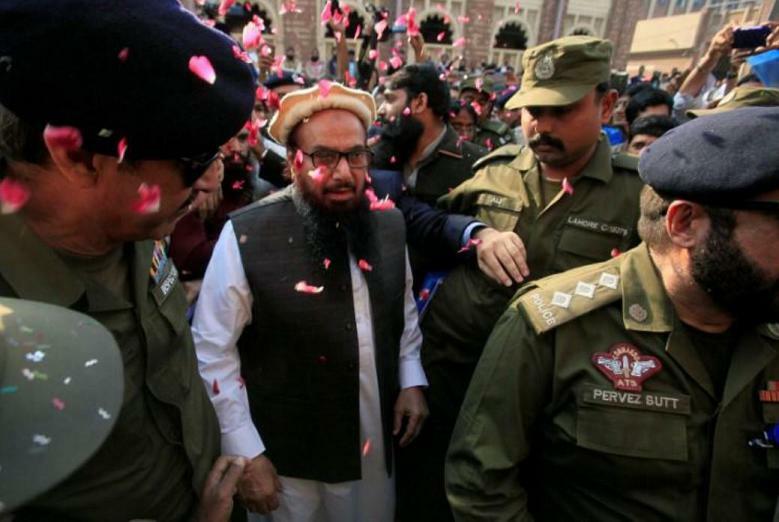 Washington, which has offered a $10 million reward for information leading to Saeed’s conviction over the Mumbai attacks, warned Islamabad of repercussions after a Pakistani court in late November released him from house arrest. Punjab’s provincial government had put Saeed under house arrest for 10 months this year for violating anti-terrorism laws.